THE GOOF OSTRICH HAS TO COLLECT FEATHERS! 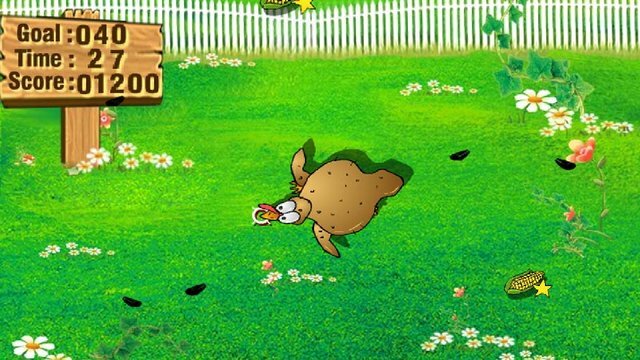 A little ostrich is playing in the farm and a live a happy life,however,someone play a bad trick on the little goof ostrich:they blow up the farm and goof ostrich loses all the feathers! The winter is coming and if the goof ostrich doesn't collect all feathers and put them back on its body,the goof ostrich would freezes to death! Help the goof ostrich collect the feathers but don't bump into the fork. 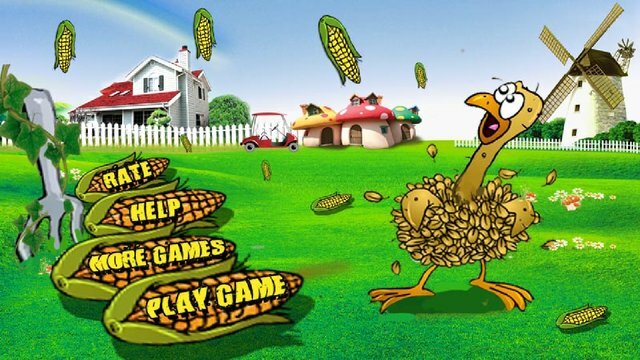 Collect corn cob as many as possible!